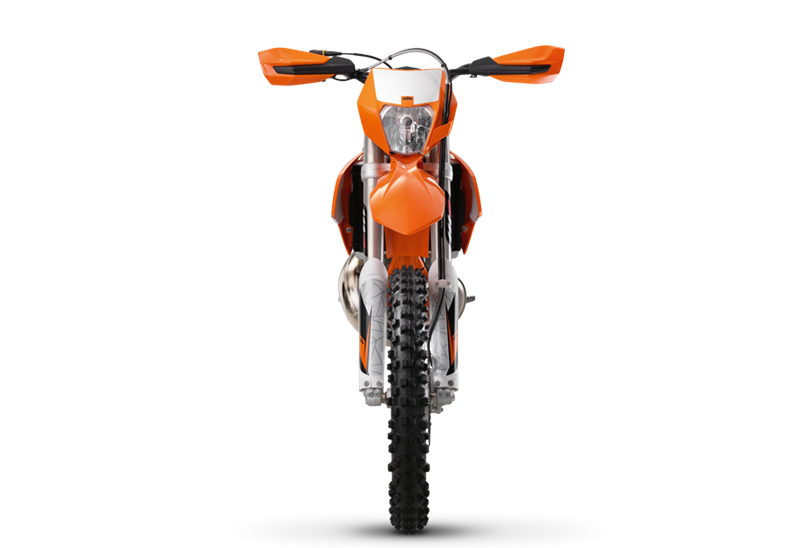 OPTIMISED ENGINE The powerful KTM 300 XC-W engine fitted with 6-speed transmission and electric starter unites an unbeatable 2-Stroke power-to-weight ratio with outstanding performance and responsive handling. FRAME The modern frame design of the 300 XC-W, comprising lightweight, high strength, chrome-molybdenum steel section tubes, combines maximum longitudinal stiffness with optimum torsional stiffness. This guarantees easy handling and precise steering behavior, as well as excellent ride stability. It clearly represents the benchmark in terms of weight and stability. Thanks to the frame design and the rear PDS damping system, impacts at the rear wheel are absorbed and dissipated optimally. For 2016 the frame is protected by a new, robust skidplate. 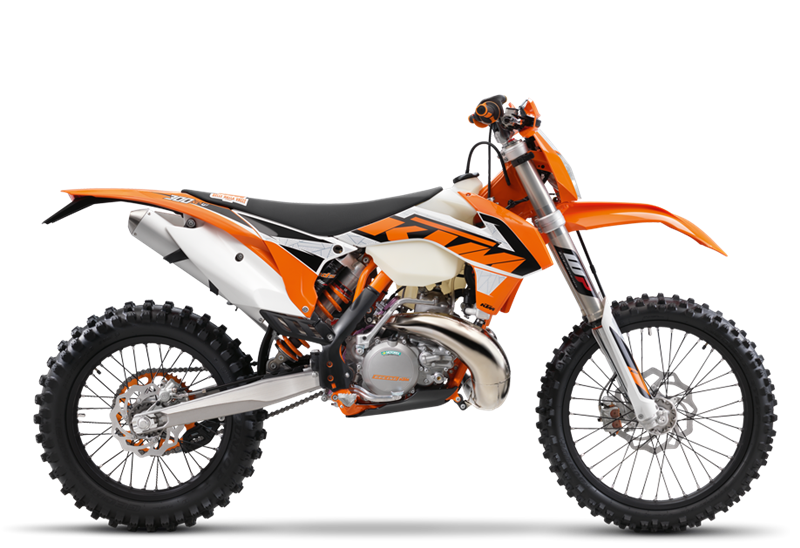 SUSPENSION/DAMPING The KTM 300 XC-W is fitted with a new front fork featuring newly designed fork boots with shorter offset, increased trail and a new suspension settings, optimally tuned to weight and engine. In addition, the fork features new fork guards allowing for easier cleaning. At the rear, a PDS shock absorber from WP Suspension works with a direct linkage to the upper side of the swingarm. A wide range of setting options for rebound damping and high- and low-speed compression damping are standard and can be adjusted to suit racing and trail conditions.